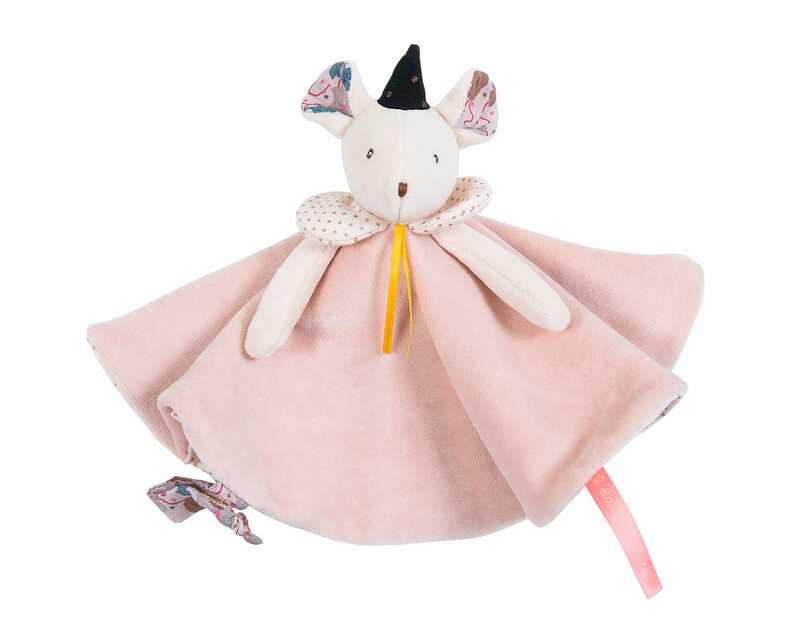 The pink mouse comforter from Moulin Roty’s ‘Il etait une fois range’, is dressed in a patterned cotton that is lined with soft, dusky pink velour and finished with a collar trimmed with ribbon and a pink tulle bow on her head. The purple mouse comforter includes a strap to keep baby’s pacifier close at hand (strap fastens with velcro). 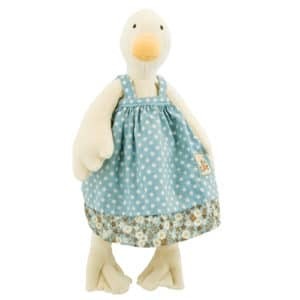 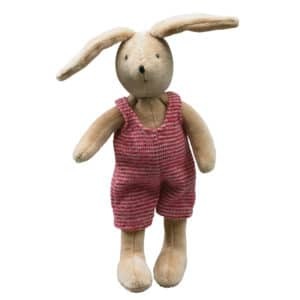 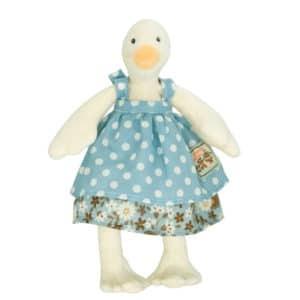 Her head and arms are made of soft velour and her ears are lined with a sparkly cotton fabric. 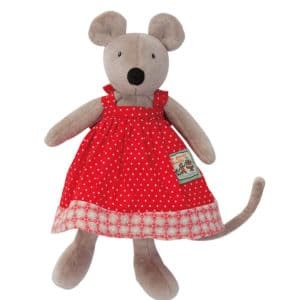 Mouse’s facial features are embroidered.